"Using Narrative in Religious Identity Research", Irish Narrative Inquiry Conference, Maynooth University, 19-20 March 2015. 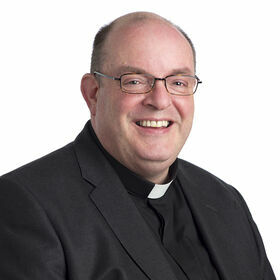 Priest of the Diocese of Ferns and ordained in 1990. Undergraduate studies at Maynooth (BA) and Gregorian University, Rome (Rome). Postgraduate Studies at Pontificio Ateneo S. Anselmo, Boston College (MEd), and Trinity College, Dublin (PhD). Curate in Athy, Co. Kildare (1990-1993), St, Senan’s Enniscorthy (1993-2005) and St. Brigid, Backwater, Co. Wexford (2005-2014). Diocesan Advisor for Primary School Catechetics (1997-2014). Secretary of the National Association of Primary Diocesan Advisors (2001-2004); Member, Consultation Group for the writing of the Primary School Religious Education Programme (2002-2005); Member of the Senior Leadership Team ACE Advocates (Ireland). ACE (Alliance for Catholic Education) is an education programme from the Institute for Education Initiatives at the University of Notre Dame, IN in the United States (2007-present); Consultant to the New Primary School Religious Education Programme (2014-present) Part-time/occasional lecturer at Froebel College of Education; Carlow Institute of Technology; Marino Institute of Education.